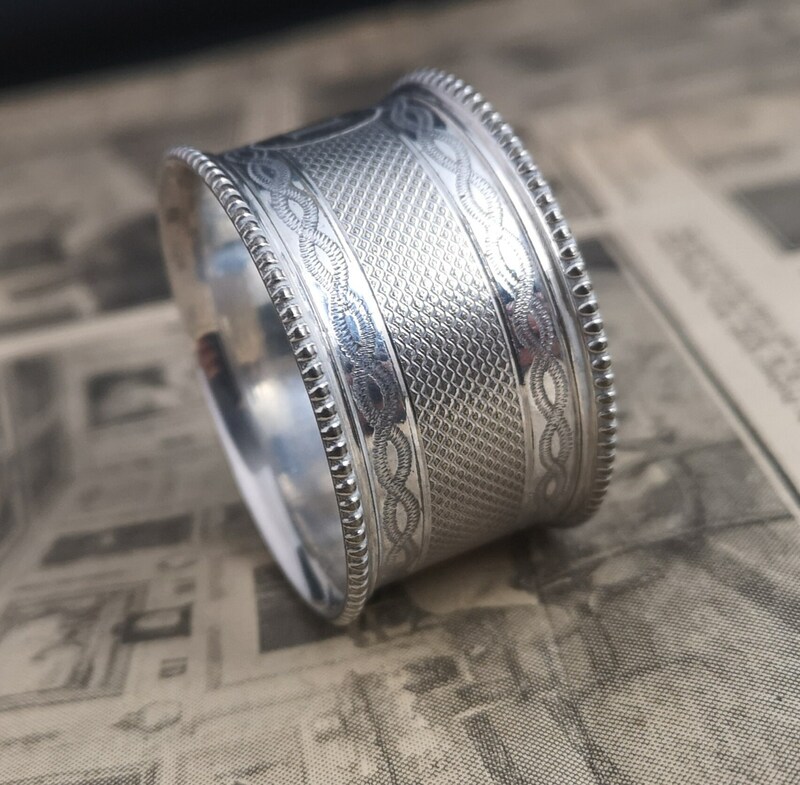 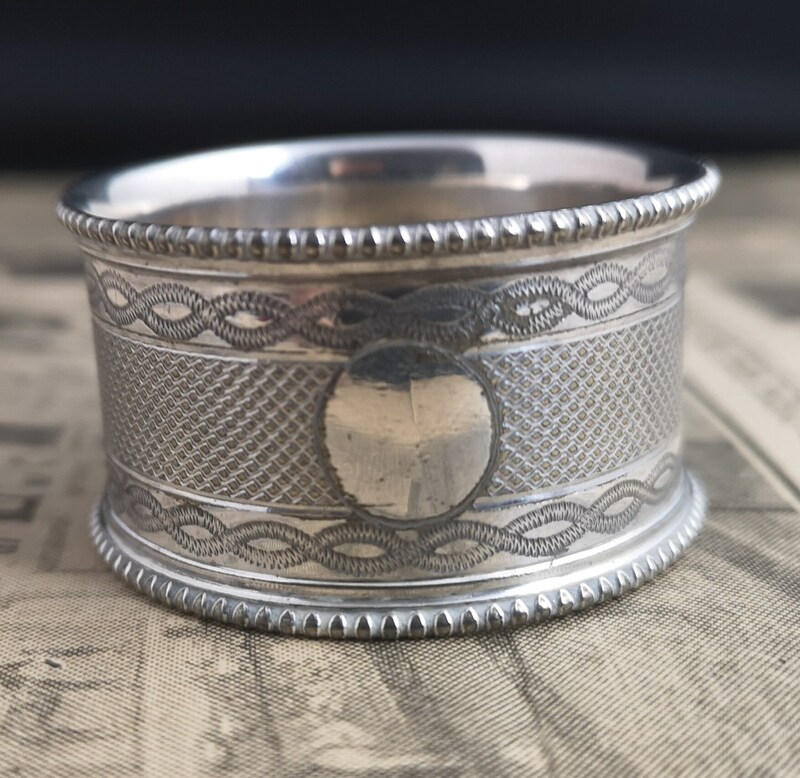 A very pretty antique napkin ring. 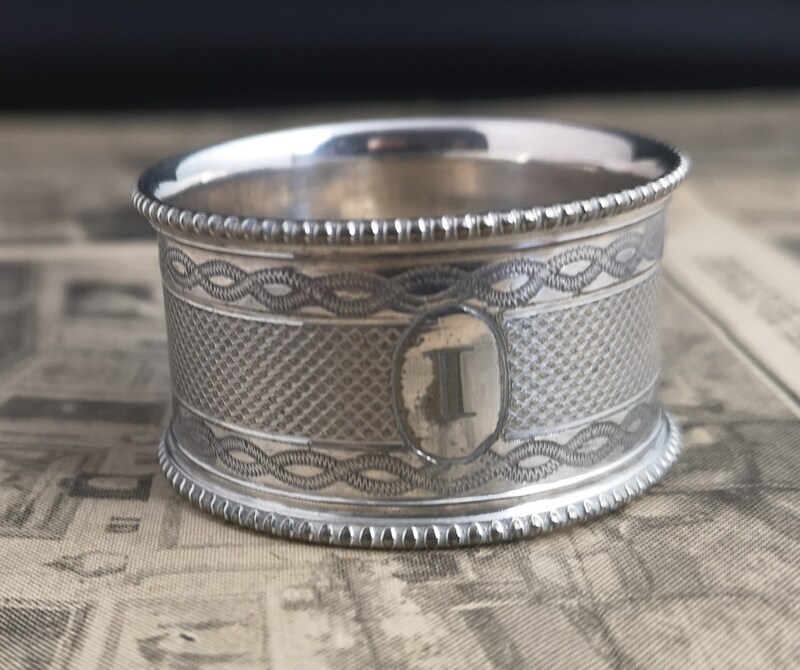 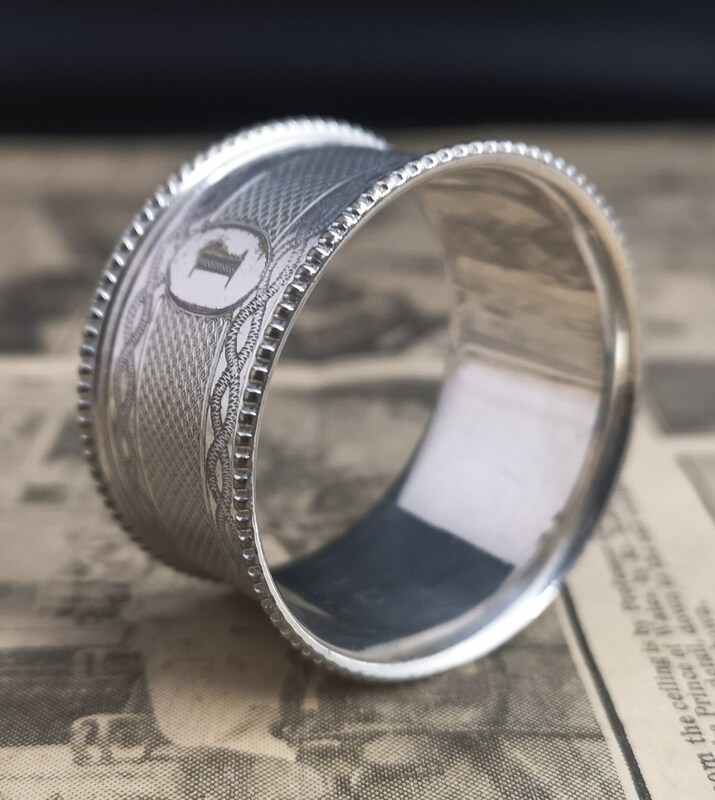 It has an engine turned and engraved design with a blank oval cartouche on one side and another oval cartouche monogrammed with an I. 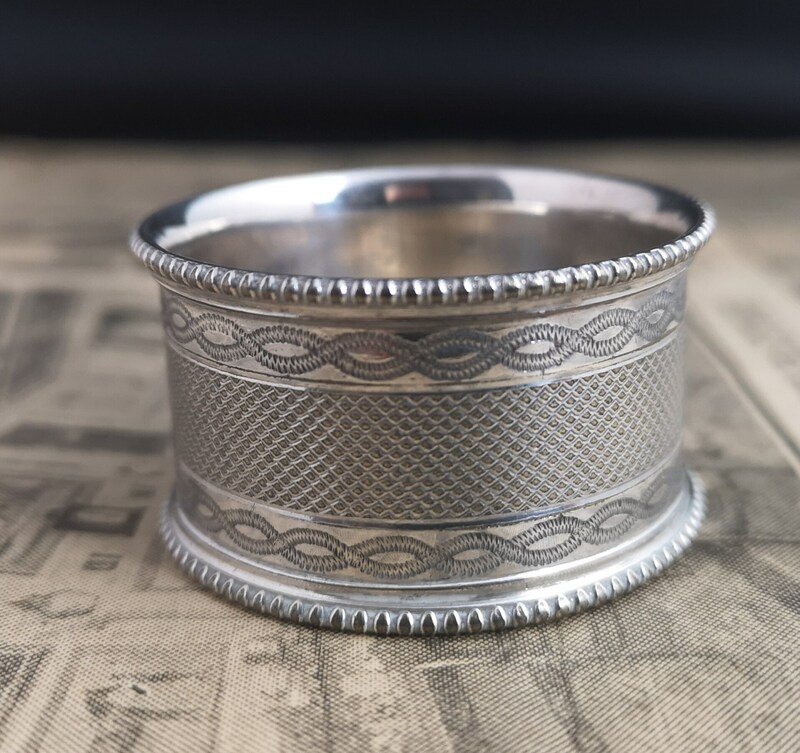 It is very shiny, some small scratches and plate loss, commensurate with age, unmarked silver plate. Approx 1.5" height and just under 2" diameter.